Check your sump pump – If you have a sump pump, have it inspected by a plumbing repair service to make sure everything is working as it should. Ignoring a sump pump can lead to disastrous (and costly) results. Prevent a sump pump situation by calling us. Test your faucets and drains – Take time to walk around your home and test your faucets and drains. Is water draining slowly in your shower and sinks? Are there spurts and sputters of water coming from your faucets? If you notice any problems with the sinks, tubs, and showers around your home, call us to fix these plumbing issues. Look for minor and major leaks – Check each room in your home to look for signs of a plumbing leak. Catching one early can help you avoid major repair expenses down the road. 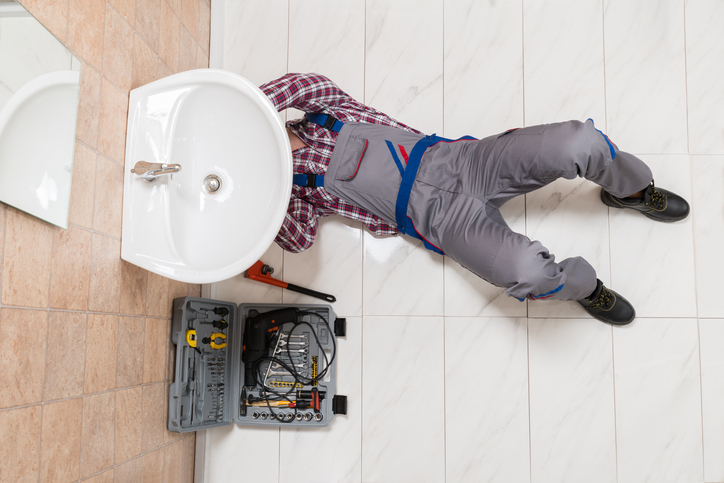 If you can’t see an obvious leak but suspect you have one, call us right away. We’ll give your home a thorough inspection in order to find and repair leaks in your walls, attic, basement, or crawlspace. Inspect your tankless water heater – Finally, take time to inspect your tankless water heater. As an expert in tankless water heater installation and repair, we’ll make sure your water heater is ready to handle your family’s needs during the busy spring season. When you need to call a professional plumbing repair service this spring, make Delk Plumbing your first choice. Our plumbers are standing by to help residents of Summerville, Moncks Corner, Mount Pleasant, Goose Creek, North Charleston, Charleston, West Ashley, Daniel Island, Ladson, Hanahan, Ridgeville, Knightsville, Ravenel, and surrounding areas of South Carolina.